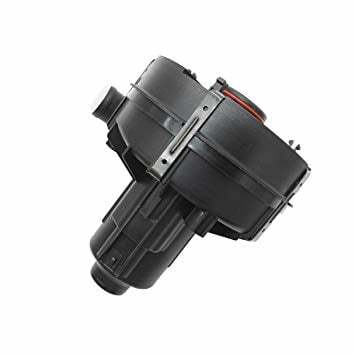 The air pump is an essential component of the air injection system. It is also commonly known as a smog pump. The basic function of the air pump is to pull the fresh and oxygen-rich air into the exhaust stream. This enables the complete or near complete burning of the fuel before exiting the vehicle exhaust stream. Incomplete burning can produce hydrocarbons as pollutants, which can be reduced by installing an efficient air pump. The tuning for the pump to complement the system is also important to maximize the efficiency. A bad air pump can significantly damage the efficiency of the engine as well as the mileage of your vehicle. For optimal combustion, the engine requires a proper and tuned oxygen-fuel ratio. Keeping the air pump in order is not only beneficial to the environment but also gives you an advantage in terms of fuel efficiency of your vehicle. The strict regulations for vehicular emissions in several states also require a working and efficient air pump system. If the vehicular emissions are not up to the mark according to the standards, your vehicle may also fail the emission test that is regulated by law. In general terms, you need to provide your vehicle with enough air to breathe in order to perform better. There are certain signs and symptoms that can help you understand if the air pump is going bad. Here are some of the most common and noticeable symptoms that your vehicle may experience if you have a bad air pump. A bad air pump can also cause a noticeable reduction in the horsepower of your engine. The power output is reduced and it can be noticed during the drive. This is a point where you realize that your vehicle would require a tuning. As a result, the overall engine performance will be affected and you will experience a dull pickup as well as fluctuations when you hit the throttle. It would be as if your vehicle is stumbling and the engine is suffocating. You can feel it during the drive as your engine will perform more roughly. It can also cause fluctuations in acceleration when the throttle is pushed. It can be considered as one of the initial symptoms for a failing or a bad air pump. It is because either your combustion engine is not getting enough fuel, or it is not getting enough air. Either way, it can be most probably due to the air pump failure. In certain cases, the untuned fuel supply could be a reason as well. However, your first guess should be the air pump failure. The performance of your engine will be significantly affected in terms of speed, stalling, and idling. In most vehicles, the automation system is capable of detecting a failing air pump. In such cases, you will see an indication on the engine check light. The light will be turned on only if the air pump has completely failed. However, it may not indicate anything if the air pump is going bad and on the verge of failing. To avoid troubles, it is best to keep it tuned and fixed before it causes your vehicle to completely stop. Therefore, this is the last thing that you should be looking for. In case you have recently fixed the air pump, it could also be only due to an electrical failure. it is also important to note that an illuminated check engine light is not only an indication of a failed air pump. It can be on due to a number of possible reasons. That is why you cannot consider it as the primary symptom of air pump failure. What is the lifetime of Air pumps? If you have a brand new vehicle, you should not expect a replacement of an air pump during the vehicle’s lifetime unless there has been an accident or if the water has entered the internal system of your vehicle. At most, you may require a tuning of the air pump. How to fix a bad air pump? If the air pump needs a replacement, your approach may vary depending on the vehicle that you have as it can be different for each vehicle. However, as a general rule, you need to understand a few things that will help you replace the pump. Here is a step by step approach for the replacement of a failed air pump. Firstly, make sure that the electrical connections are removed and disconnected by removing the negative battery terminal. Remove the belt from the pump by unbolting the mount. Check the belt as well as the electrical connections for possible damage. Replace the belt or electrical connections if necessary. Clear your way to the air pump. Removing the covers and ties. Disconnect all connections from the pump and place a new one. Put all the connections and wires back from where you removed them. Put the parts that were on top before you cleared your way. Enable all electrical connections and the negative terminal of the battery. Check for performance with a test drive. The costs are highly variable depending on the car that you’re using. If you’re doing it by yourself, you can save up some good amount that you may pay to the mechanic otherwise, which is up to a hundred bucks. If you are replacing the pump by yourself, you may only require a new pump and some other stuff that you can find in your workshop. On average, it may cost you anything from $300 to $400 for normal cars. For luxury cars, the cost can go up to as much as $1000 as an estimate. There are still some variables, such as your supplier etc. The air pump is like the lungs of your vehicle and the emission system. That is why it is very important to keep it in order. It is not only important to keep your vehicle up and running, but also important in terms of rules and regulations, without which you can get a failed emission test. A careful examination will be conducted by a technician if you are not able to figure out the underlying problem. In case of a bad air pump, it may require just a touch up tuning or in some cases a complete replacement of the pump with a new one to achieve the best performance of your vehicle. Oil Pan Plug Repair - How do you fix the threads?